This year Stripes is launching a new YA horror series under the name Red Eye. 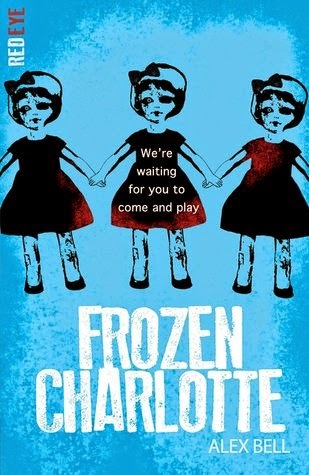 There will be four titles published throughout the year and I have been very lucky to have been sent the first two launch titles to read and review: Sleepless by Lou Morgan and Frozen Charlotte by Alex Bell. I'm not a huge reader of horror stories but I was quite intrigued by this new series of books and I jumped into them both really hoping and expecting for some creepy, scary things to happen! I wasn't disappointed. First up, I read Sleepless by Lou Morgan. This is a story about Izzy and her group of friends. They're all rich and pretty and they all live in or near the Barbican Centre and attend this swank private school, Clerkenwell. At Clerkenwell, exams matter. They're super important and in fact, failure is not an option. So when Tigs gives everyone a seemingly perfect solution to their problem, Izzy and her friends all jump at the chance. Tigs has found these special pills which enhance memory and really allows for more concentration and focus during revisions and exams. And everything seems to be going so well until after the exams when creepy things start happening and Izzy and her friends start seeing and hearing things and start to question: what actually were in those pills? And the realisation that they all come to? There are worse things to happen to them besides failing an exam. 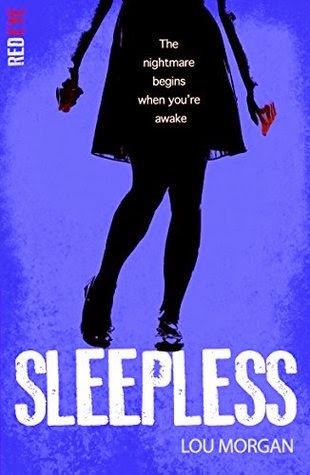 While I thought that Sleepless was a little slow to get into and I never fully connected to the majority of the central cast of characters, I also found this book to have some really creepy and tense situations and I found myself a little uncomfortable reading this book alone and in the dark. I loved that this book is set in London, specifically at the Barbican Centre where I've been quite a few times. Having a familiar setting made things more real in my head and I loved the addition of other scary places: a hospital, a building site, a meat market. Even the Barbican with its confusing stairwells and passageways was a brilliant setting choice for this story. In terms of horror, I was pleasantly surprised by where the story went. 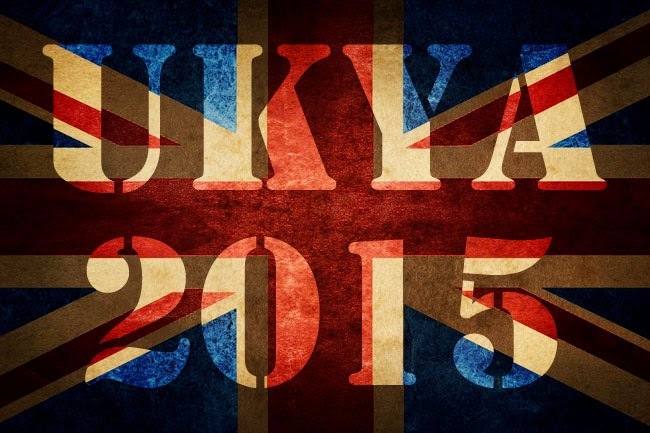 Some of these teenagers do die and in horrific ways. But the build-up to the gruesome scenes was quite chilling in parts as well as the characters start to question their own grasp on reality and I always love to see a group of characters turn on each other as their trust and camaraderie are shaken by rather shocking events. I quite liked this story. It did need a tighter edit, particularly in the first quarter of the book, but overall an interesting idea that certainly gave me the creeps! Next, I picked up Frozen by Alex Bell. I did initially slightly put off reading this book because I find the very idea of haunted porcelain dolls to be super terrifying and this cover constantly looks like it's watching and following me as I was reading this book! But I did gather enough courage to read this book and I really liked it. Again, I didn't think it was overly scary but it definitely had some really unsettling and disturbing scenes within it that made me uncomfortable at times! Especially as I was mostly reading it alone and at night in my creaky house. Frozen Charlotte is mostly set on the Scottish island, Skye, in kind of a remote old Victorian school house. As with Sleepless, I thought the setting of this book really leant itself to a horror novel. I loved the idea of this island cut off from the mainland by bad weather and cancelled ferries and also this school house converted into a family home, especially as it is littered with so much history from its days of being a school - including a large collection of porcelain dolls. Plus, together with a Ouija board, ghostly sightings, unexplained fires and accidents and you have yourself quite the creepy story. This story revolves around our main character, Sophie, who comes to stay with her cousins over the summer. She's recently suffered a big loss with her best friend dying in an accident and she comes to stay with this family she doesn't really know very well who have also had their fair share of loss. And Sophie's relatives are a family with a complicated family dynamic! I really liked that about this book as people aren't what they seem and everyone's behaviour has changed due to the evil intentions of these supposedly haunted porcelain dolls. Throughout most of the book Sophie is searching for answers to her best friend's death which she thinks is connected to the death of her cousin, Rebecca, a few years back. While this puts Sophie in dangerous situations at time, I felt like it fit with Sophie's character and I quite liked seeing how this mystery unravelled. I thought Frozen Charlotte had a very cinematic feel to it. I could quite easily picture the events of this book as a horror film and towards the second half of the book, when Sophie realises the extent of one character's intentions towards her I could feel Sophie's helplessness and frustration in this situation. I thought it was really good! After reading these two creepy and unsettling books, however, I will definitely need to surround myself with some lighter, fluffier reads! Ooh these sound good! I will definitely be adding them to my list.